One World Trade Center (or Freedom Tower) is the tallest building in New York. In addition, the building, with its reflective windows and long antenna, is even the tallest skyscraper in the Western Hemisphere. Consequently, the skyscraper is 1,776 feet tall, including the antenna. One World Trade Center consists of 69 floors of office space, restaurants and, most noteworthy, an observation deck. In addition, the skyscraper, with its tall antenna, serves as a mast. There is also a large shopping centre underground as well as access to public transportation. The One World Trade Center has 104 floors and the observation deck (called One World Observatory) takes up the 100th, 101st and 102nd floors. From the ground, all the way up to the metal and glass balustrade, on top of the building, the skyscraper measures 1,368 feet, which was also the height of the Twin Towers. Up until the terrorist attacks in 2001, the Twin Towers were the focal point of Lower Manhattan. Today, the One World Trade Center stands next to where they once towered over the city. It took more than a year and a half to clean up the remaining steel and concrete left after the attacks on September the 11th. Once everything had been cleared away, the first round of the design competition took place. An opportunity for a whole new World Trade Center complex. Polish born American, Daniel Libeskind was the winner of the competition. The World Trade Center complex is comprised of six buildings, not just the One World Trade Center itself. Libeskind designed the World Trade Center complex in the shape of a spiral, ending at the footprints of the Twin Towers – where the 9/11 Memorial can now be found. The 9/11 Memorial was opened in September 2011 to commemorate the victims of the attacks of September 11, 2001. The memorial consists of two square pools exactly where the Twin Towers stood. Inscribed on all sides of the vast pools are the names of all the victims of 9/11. Trees and water, surrounding the pools complement the peaceful atmosphere created, It is certainly worthwhile to pay a visit. Can I buy tickets for the observation deck at Freedom Tower/One World Trade Center? Yes, you can buy tickets to the One World Observatory here. How tall is Freedom Tower/One World Trade Center? 1,776 feet or 541 meters and 30 centimeters, including the antenna. Without the antenna, the building is 417 meters high. How many floors does Freedom Tower/One World Trade Center have? 104 floors above ground and four basement floors. 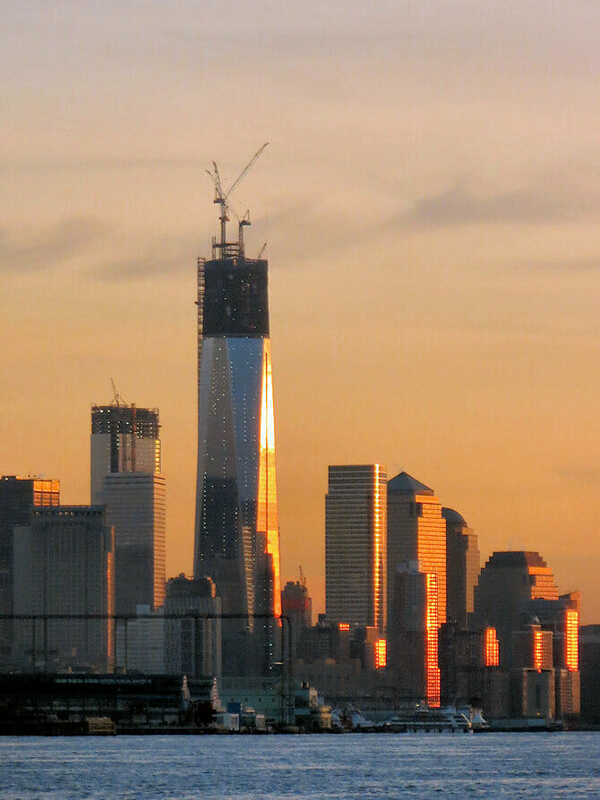 When was Freedom Tower/One World Trade Center completed? The construction reached completion in late 2014. Is there an observatory at Freedom Tower/One World Trade Center? Yes, there is an observation deck on the 100th , 101st and 102nd floors. Can I visit the 9/11 Memorial? Yes, you can. Read all about 9/11 Memorial here. Freedom Tower or One World Trade Center? Initially the tower was called Freedom Tower, but the Port Authority (part of the government) decided to change the name to One World Trade Center. The reason being that the name ‘Freedom Tower’ was too emotionally charged. This would prevent the rental of the offices in the tower as it would always associated with the dramatic events of 11th of September. The architect David Childs was chosen in 2003 to design the tallest building of the complex – the One World Trade Center. After the design was adjusted, due to safety regulations, the building started construction in 2006. 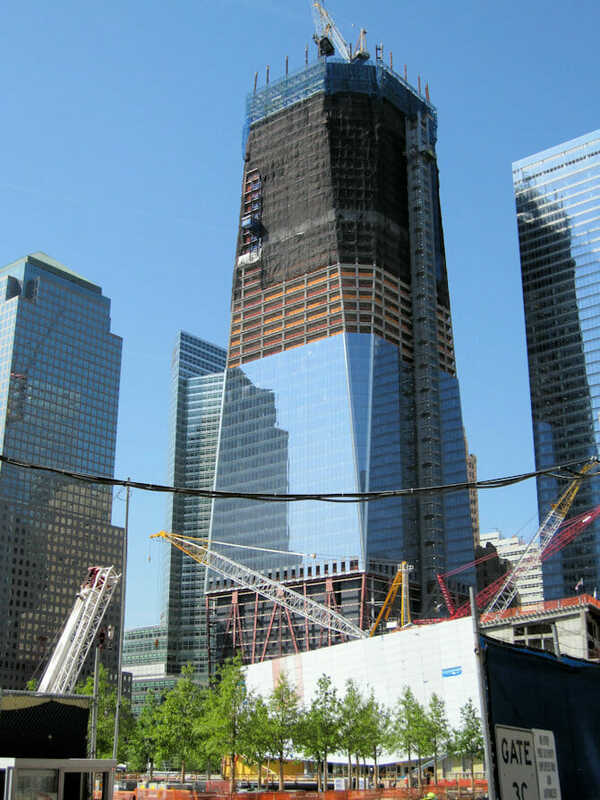 In 2007 the first foundations of One World Trade Center were visible. Construction was completed in 2014 and the observation deck opened to public in 2015. That the square base of One World Trade Center is the same size as that of the original Twin Towers. 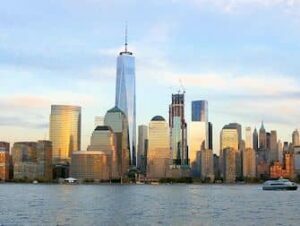 That the height of One World Trade Center, 1,776 feet (541.3 meters) symbolises the year 1776, the year in which the U.S. Congress accepted the declaration of independence.